My very first blog, Breathe Free, started in 2007. I haven’t posted on their in a while, but it still gets some traffic and comment. 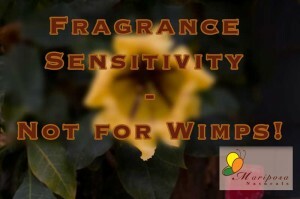 Usually from those who suffer with fragrance sensitivity. Last Friday, I got another comment. You can read the entire comment on this post. It’s the bottom entry, from Elain Mendez. Elain doesn’t spend a lot of time talking about how people in her work place and other environments react to her plight. Although she does mention it. One theme that comes through in so many of the comments I read is how insensitive others can be. You tell someone “I’m allergic to perfume” and they hear “I don’t like perfume.” It causes problems in the work place, and sadly it even causes problems within families. Elain mentioned reading a study that suggested fragrances were addictive. I’m not sure it’s addiction in the same sense that heroin is addictive. But people do grow to really like their ‘smells.’ I’ve even known people with serious migraine issues who won’t give up their good-smelling products – even though they know that the fragrances are causing their migraines. But they also smell so much of their perfume that it doesn’t even register to them, so they think to add more. I encourage you to read Elain’s comments because she has some suggestions for raising awareness. She’s right, the fragrance industry needs to be held accountable. Yet as long as they can hide their ingredients behind the words “trade secret” there’s little to be done. Unless we band together. Elain has a number of suggestions, which, taken together, and done by enough people could have an impact. What will it take? It will take enough people being aware of the problem and the hazards of the fragrance chemicals that are in so many, many of our products. When people realize that they are as harmful as the benzene used in industry or the petrochemicals and their by-products. Possibly more harmful since we wear them on our skin and breathe them in with every breath. 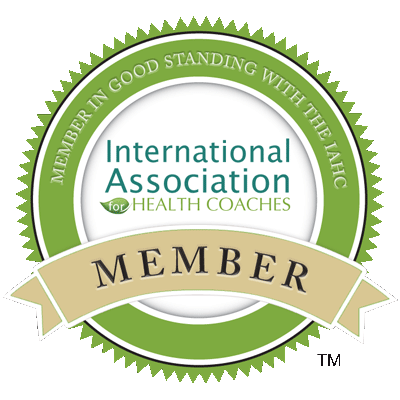 Fragrance chemicals and fragrance sensitivity are the reason I am on my current path as a health coach. I’ve been more fortunate than some in that I’ve been able to work out of my house and so can control my environment. I have read many, many heartbreaking stories through the years. I actually started talking about it online with Fragrance Free World, which began in 2005 – 9 years ago. I have a collection of stories there on the page What Others are Saying. since I started that first blog 7 years ago. What are your thoughts on this? Do you use products with fragrances in them? What would it take to get you to stop using them? I know what you mean. I ended up in the hospital for eight days when my company installed fragrance puffers throughout the building. Since then, my sensitivities have gone ballistic! Right now I’m having difficulty with a lady who is 30 feet down the hall, but I am so allergic to her dryer sheets that I have hives and asthma all day every day, except weekends. Management won’t talk to her, and when I did she turned me in to Human Resources. So now I am looking for an air purifier that removes fragrances from the air. But I haven’t found one. Do you know of one?